While the Senate considers the Obamacare Repeal Reconciliation Act of 2017, the Kaiser Family Foundation recently reported on the main provisions that would effect Medicaid; they are, the removal of statutory authority to cover childless adults up to 138% FPL ($16,643 for an individual in 2017) in addition to the provision that eliminates the enhanced match rate for the Medicaid expansion. 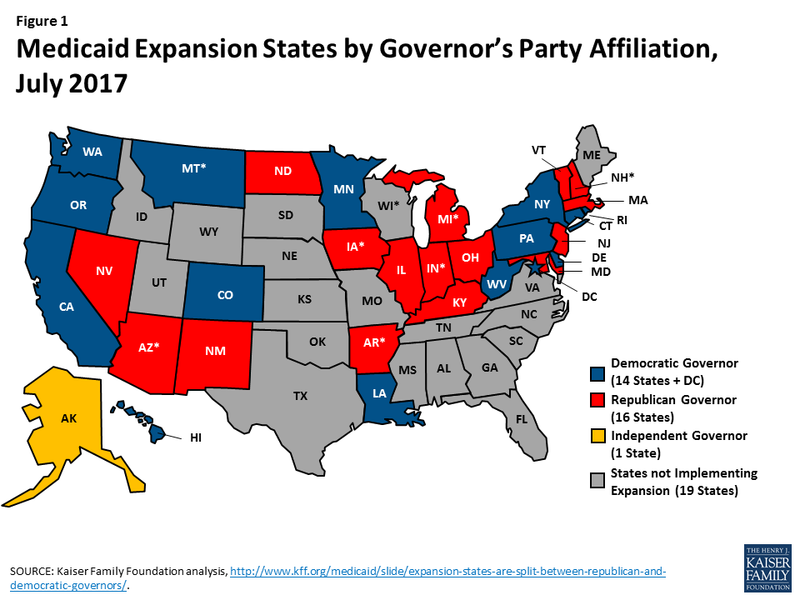 In the study, KFF reports that a repeal of the Medicaid expansion would have dire coverage and financing repercussions for the states that have expanded the program. 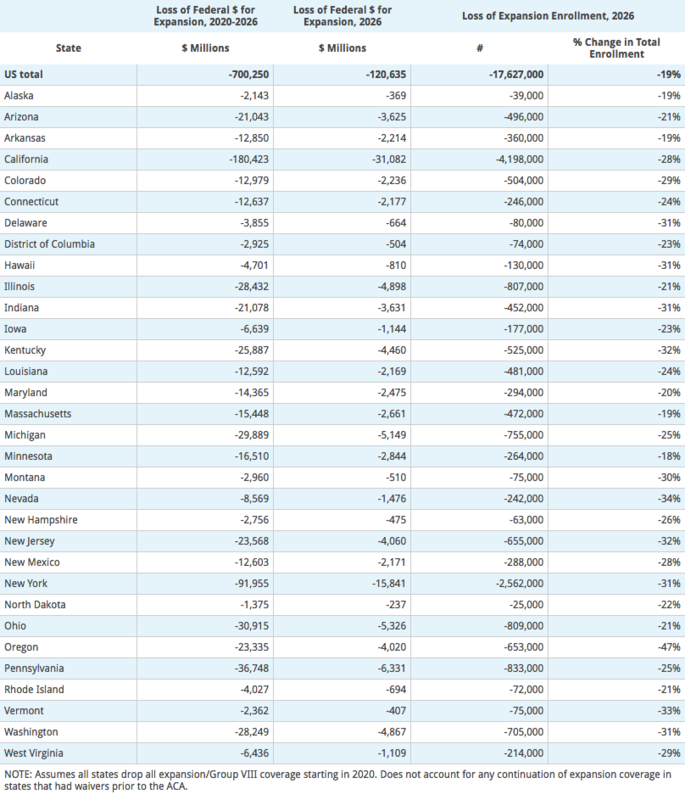 Analysis of the data revealed that states would see a $700 billion loss in federal Medicaid funds from 2020 to 2026. In 2026, states would see a decrease in federal Medicaid funds of $121 billion and estimated reductions in coverage of 17.6 million individuals. Without Medicaid expansion or affordable insurance alternatives, it is probable that most of these individuals would become uninsured.